The Cobblestone Inn is a cozy, 18th century bed and breakfast. Built in 1725, last renovated in 1997, the centuries blend walking the two blocks from Steamship Wharf to our quiet cobblestoned side street in the heart of historic Nantucket Town. 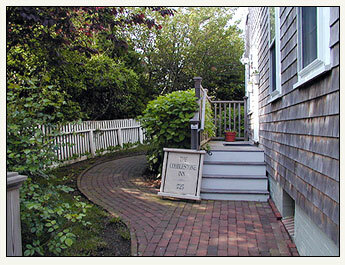 Robin and Keith look forward to welcoming you to their home, the Cobblestone Inn, and Nantucket.